When you find an interesting texture one way to use it is to make “crayon rubbings”, in that way you make a copy of the protruding parts on a blank paper using a wax crayon. What you do is lay a paper over a textured item (it could be a glass bowl, a woven basket or lace). Rub with the flat side of the crayon to cover the whole sheet and watch as the texture shows up on your paper! Maybe you tried this as a kid? But a lot of activities that we did as children are still available to us, if we allow them and maybe tweak them a bit. 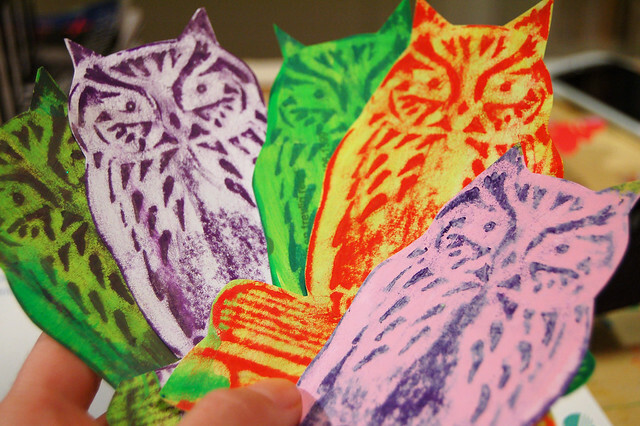 I think that making your own crayon rubbings could add fun patterns and images to your art journaling! I would wish more crayon rubbings for grown ups! The raised leather on the journal cover is a perfect surface to make a resist from, using the long side of a wax crayon. 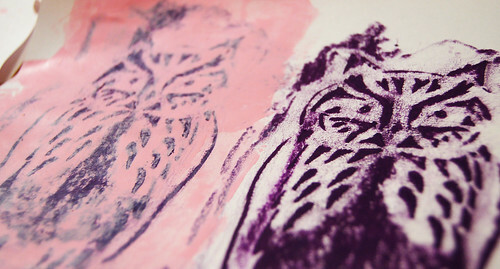 I did owl rubbings on unpainted paper that I later covered with a layer of acrylic paint using a credit card as the brush, but also on already painted papers. Both works great! 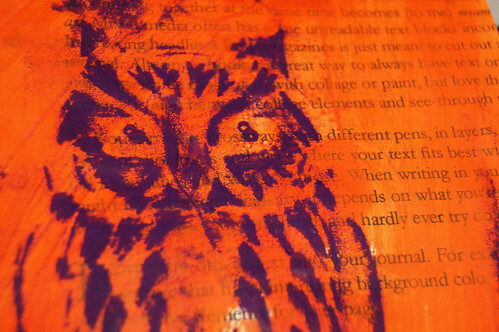 My experiments this time is from the owl journal I got as a gift. It is still empty on the inside and brown on the outside, but… I have been using it to make some new wax crayon rubbings! What textures can you find to play with? 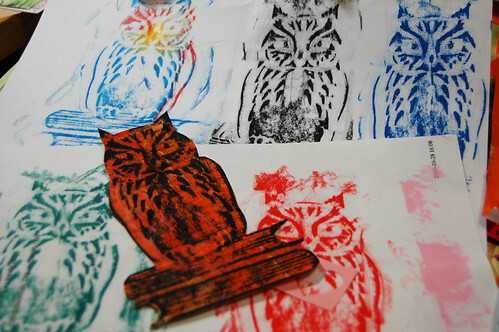 This entry was posted in Art Experiments and tagged crayon, mark making, owls, prompt, rubbings. Bookmark the permalink. wow! I want some of those owl rubbings! You should sell them in your shop. So neat! oh fun. i haven’t done rubbings since i was a kid. 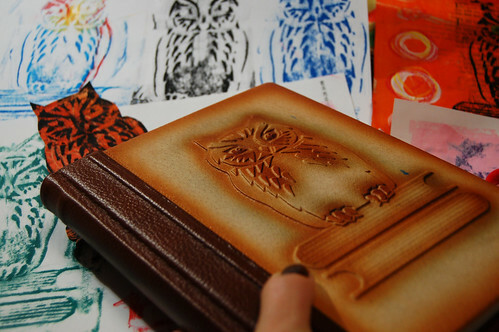 Makes me wish I had that owl journal! Very nice. You are SO clever! 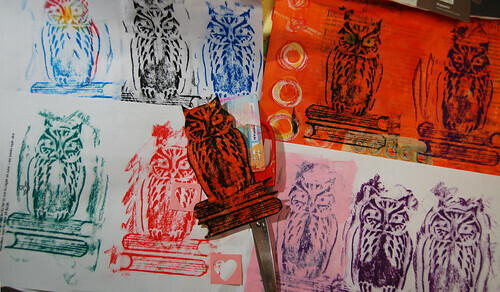 The rubbings really turned out well, thank you for the inspiration! Happy Holidays! You are a crafty genius! So delighted to have you onboard for Art Journal Every Day! Very cool idea. I’m going to utilize this in my art journals.